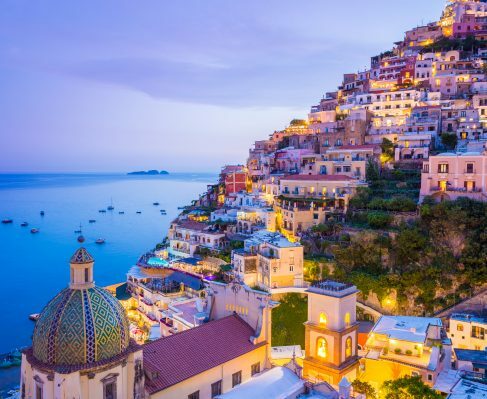 This Mediterranean hotspot is synonymous with celebrities and luxury living, and there’s certainly a feel of opulence to this beautiful region. Regarded as a millionaire’s playground, Cannes is a boutique-studded town filled with world-class cuisine and glamorous bars. There’s a real feel of elegance and charm too, with natural beauty and historic culture still very much in place. Each year, Cannes plays host to the annual Film Festival, but there is much more to discover around the French Riviera. In addition to the hustle and bustle, the beautiful blue waters offer the perfect place to relax and soak up the sun, enjoying Cannes from the most indulgent of vantage points. Located at the southern point of France on the French Rivera, there’s no better way to reach Cannes than on a private yacht charter. Plenty of ports await your charter with open arms, as this city is prepped for the largest of vessels that bring festival and conference attendees each year. 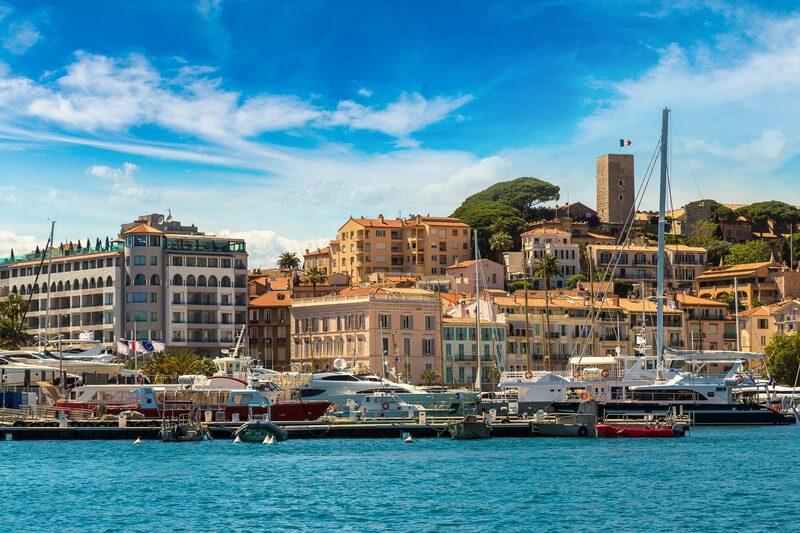 The town of Cannes has humble beginnings, dating back to the second century BC where it was utilized as a fishing village and port of call. It was once called Canua, and historians theorize the name is derived from “canna”—a reed. While many expensive designer stores, towering five-star hotels, and prominent restaurants line the Promenade de la Croisette, the name itself is reminiscent of the town’s complex beginnings—of monks and soldiers, of Roman outposts and settlements, and later, a dash towards modernization. The Lérins Islands, a collection of four islands off of the French Rivera, in Cannes, are worth a visit and easily accessible by yacht off of the mainland. 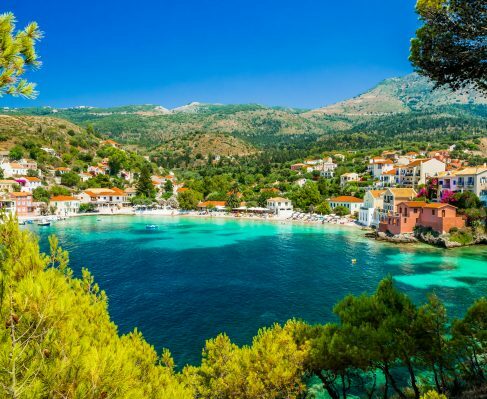 While two of the islands are uninhabited, the others Lérins Islands have intriguing histories and curious landmarks to explore. The Île Sainte-Marguerite is the most expansive of the Lérins Islands, a half mile jaunt on your charter from the sandy shores of Cannes, although it will be difficult to depart from Cannes’ addictive hold, you won’t regret it. The Romans first staked their claim in this floating piece of land, then came the crusaders, and next to the monks of Saint-Honorate, and finally the island passed hands to the Spanish, only to be recaptured by the French. This exhaustive history leaves tourists with the remarkable Fort Royal, a barracks and state prison, accompanied by the thriving town of Sainte-Marguerite. It’s heavily wooded, you’ll feel its secrecy and protectiveness as you step foot on its shores. A deep breath and your lungs will fill with fresh pine and awaken with eucalyptus—the girth of the island’s forests. The Île Sainte-Marguerite is an enigma, and quite literally showcases itself as such with its Museum of the Sea, featuring items recovered from Roman and Saracen shipwrecks. The village of Sainte-Marguerite is only comprised of twenty buildings, but they’re hospitable and welcoming. You can visit the historic Fort Royal and truly see what the fuss is about—it’s where the Man in the Iron Mask was locked away, the very thought may send shivers down your spine as you recall the island’s shroud of forests and mystery. The sister island known as the Île Saint-Honorat is the second largest of the Lérins Islands and a mere mile off of Cannes’ shore. Since the fifth century, despite violent raids by Saracens, massacres by invaders, and politics on the mainland, the island has vehemently and steadfastly remained a home for monks. Today, 30 Cistercian monks live peacefully on the island. When you make your pilgrimage to their home, you’ll see the impressive church and monastery of the Lérins Abbey, with its bright red roofed structures and fortified walls—lessons learned from an unwanted violent past. The Abbey of Lérins and the monastery are open to you to explore, and while you’re there, pick up some wine and honey made on the island as a part of the monks’ longstanding tradition. The island has remains from different theaters of war, like tokens from a reluctant history—a cannonball oven from the Napoleonic era, a World War II gun emplacement, and various chapels although now defunct, with new purpose in still, quiet beauty, like the other relics left behind on the island. Let Cannes pull you back to its sparkling shore with Marché Forville, a market that will undoubtedly draw you in with a rainbow of seasonal vegetables in every stall, fish caught by fishermen that very morning, handmade delicacies, and enormous cast iron pans with tempting local delights like chorizo and Serrano ham over golden rice. There’s so much greenery here at Marché Forville, you’ll feel as if you’re back on one of the Lérins Islands, but alas, it’s the rolling hills of limes, leafy greens spilling over trays, carrot stems stacked as high as a tower, and stalks of green onions and celery like green-hued timber logs waiting for the hands of a chef to scoop them up. All shopped out? Visit Musée de la Castre, where you can delve deep into Cannes long union with landscape imagery, musical instruments, and the arts. Pay tribute to the Church of Our Lady of Good Voyage, either for luck on your own charter (not that you’ll need it), or simply for its Gothic architecture, and view its beautifully elaborate tan stone in the shine of the floodlights at night. Break from the city on Croisette Beach, a public stretch that runs parallel to its famous counterpart, La Croisette boardwalk, as you eat socca, the local delicacy served from street vendors (flour, olive oil, and water put to a copper pan with such practice and skill, you’ll taste the ease). After a stroll on the manicured beach, don’t forget to pick up world-famous chocolate from Jean-Patrice Paci’s store in Cannes. In between, you’ll be torn between the numerous other restaurants, all with rave reviews, all with fantastic, tantalizing local-to-exotic cuisine, but don’t worry too much because in Cannes, you can’t go wrong. Cannes is a city of refined culture, of expensive tastes, and an unadulterated love of the arts, but it’s also one that will never shake its humble beginning as a fishing village, a simple purpose that lives on within its fresh foods, unbothered locals, and thriving farmers markets to this day. 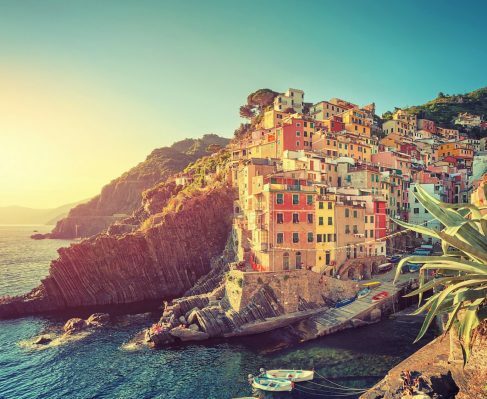 With a Cannes yacht charter, you’ll get the best of both worlds, a pearl of a resort town, yet beneath it’s five-star surface, you’ll find its raw history in its monasteries, churches, and secret islands.